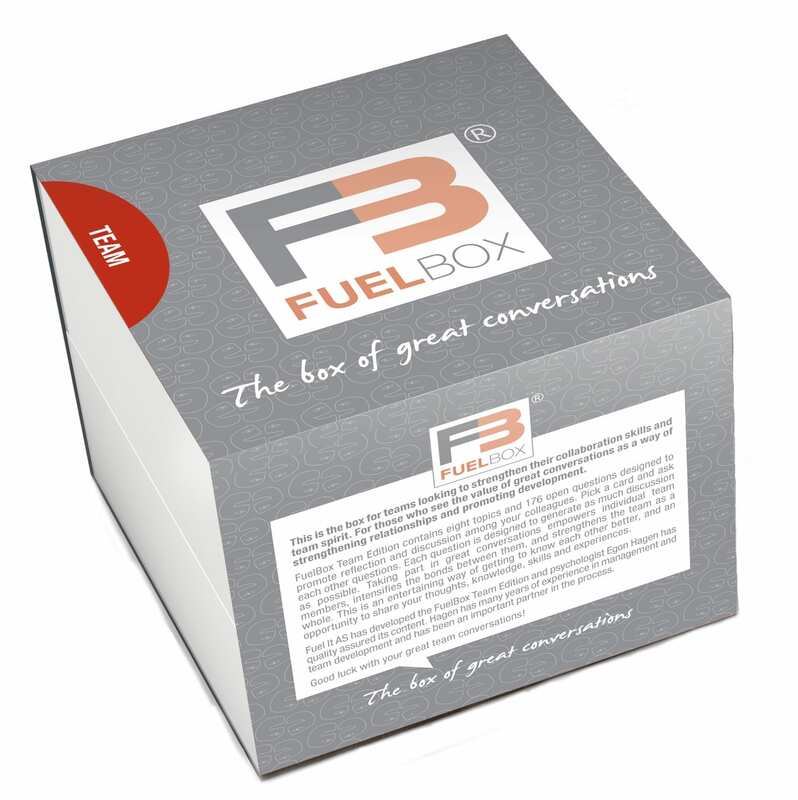 FuelBox INNOVATION sparks conversations to challenge status quo and explore new possibilities in an organisation. 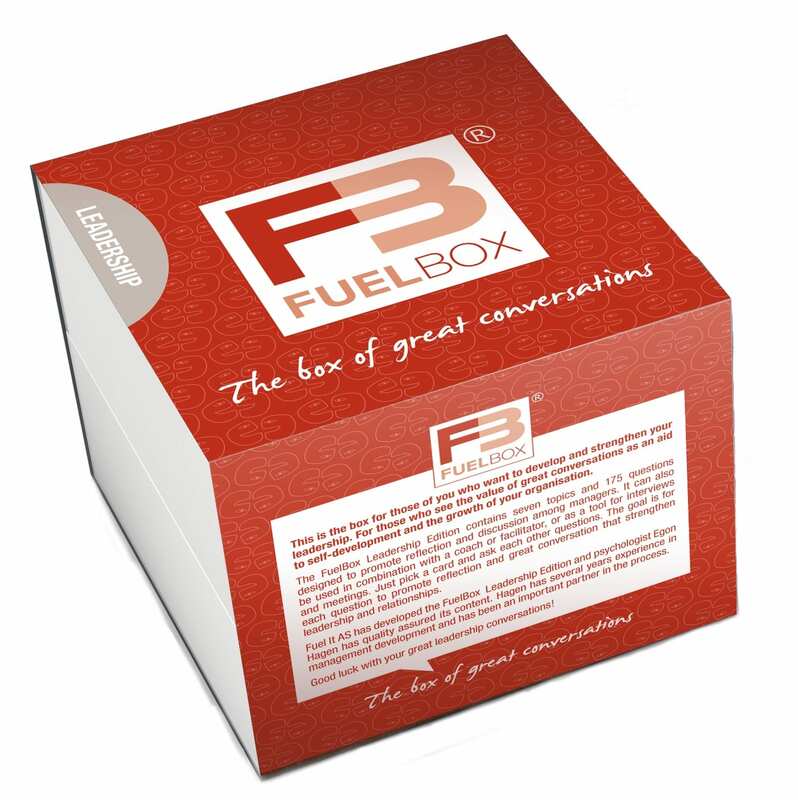 Great conversations also promote team spirit, collaboration and ownership. What changes would we implement tomorrow if we had the necessary resources? What can our management do to promote even more innovation in our organisation? How can we inspire loyalty among our clients/customers in a new way? Which trends do we see on the horizon that might challenge us and the products/services we supply? What do you do in particular when you get a good idea? Who in your network outside our organisation can we learn from? How can we market ourselves better via our clients/customers and their networks? Which company is entirely different to us, and how can we learn from them? How do you think our clients would describe us? Which new markets should we be looking into in more detail? Innovation happens when people are given the freedom to ask questions and the time and recourses to explore the answers. 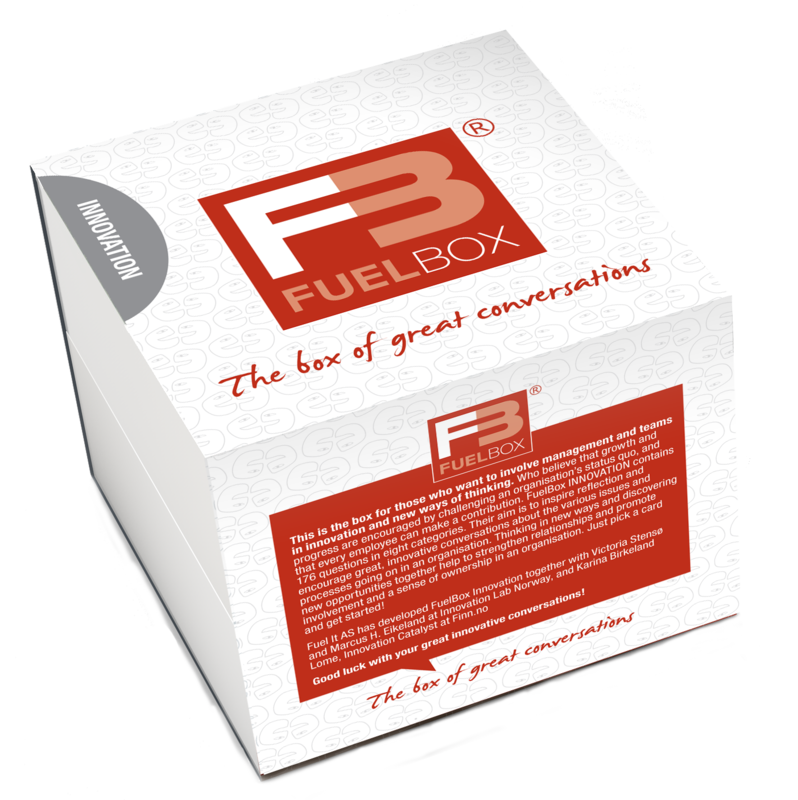 FuelBox INNOVATION is a catalyst for questions to challenge status quo and explore new possibilities on all aspects of an organisation. 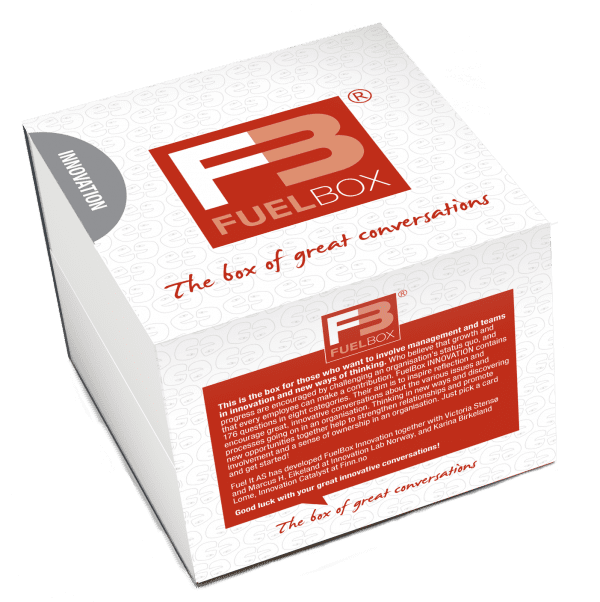 Invite everyone in a team or cross functional to engage in these innovative conversations and experience that this way of involving all employees will strengthen relationships and create a sense of ownership in your organisation. 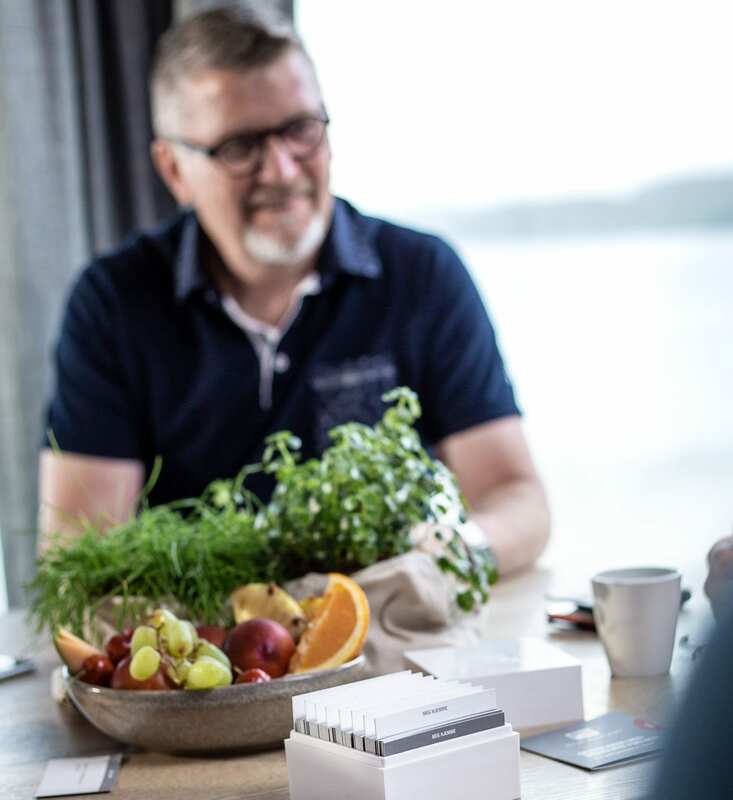 FuelBoxINNOVATION is developed together with Innovation Lab and innovation leaders from the norwegian industry who have quality assured the content. 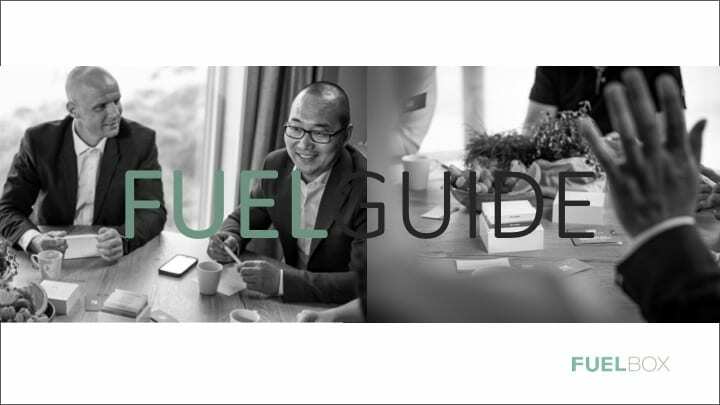 We have developed a FuelGuide for you with some great tips and advice on how to get started. Prices includes all taxes and shipping to your delivery address for EU & Canada customers (DDP). For other destinations, shipping is excluded local taxes. 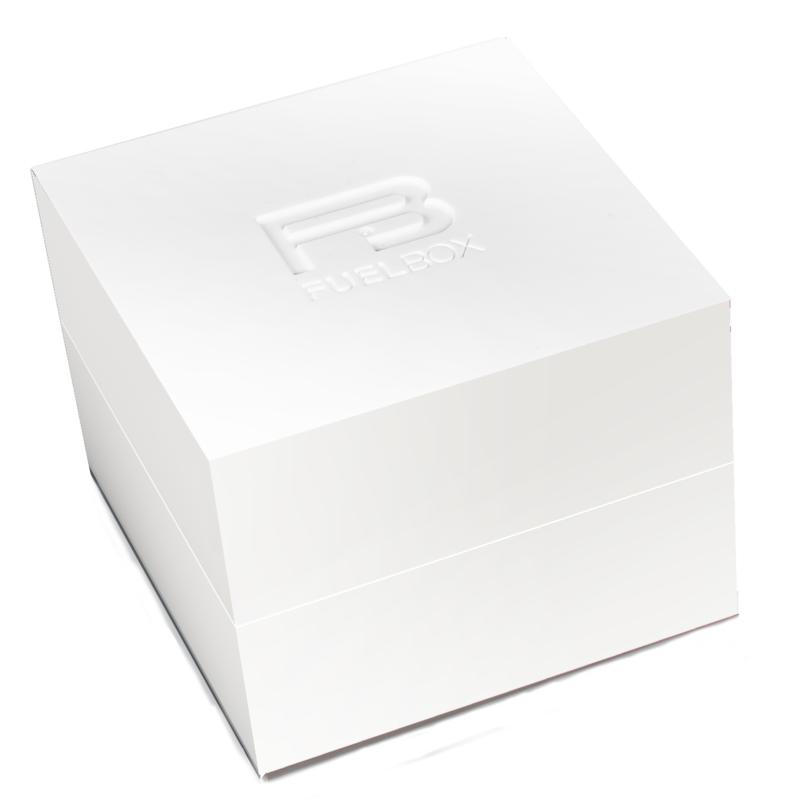 Shipping includes up to 3 products at same rate. We ship worldwide. Express delivery to United States and Canada. We ship to your door within 3-5 days. Easy return arrangement at your servicepoint. Choose payment with VISA, Mastercard or PayPal.